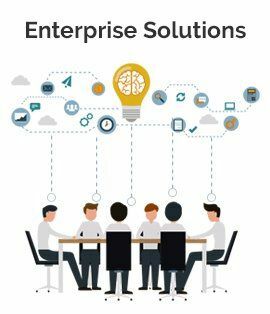 Enterprise Application Development - Experienced Enterprise Application Development experts at HorizonCore are capable in developing and delivering rich in feature, robust and affordable enterprise. Experienced Enterprise Application Development experts at HorizonCore are capable in developing and delivering rich in feature, robust and affordable enterprise applications so that your business can bloom in today's highly-competitive business surroundings. Our professional enterprise application developers will work with full efficiency for all your enterprise application requirements such as custom software solution to meet your specific business needs or to enhance the graphical user interface of your legacy applications. Our team of qualified and dedicated enterprise app programmers is up-to-date with latest technology and committed to build world class enterprise applications which is not only enabled with extraordinary features but is completely secured. Our core expertise facilitates us to deliver quick and powerful enterprise applications within budget.